Simpro manufactures a wide range of lifting machines and most commonly we use 08B grade lifting chain. 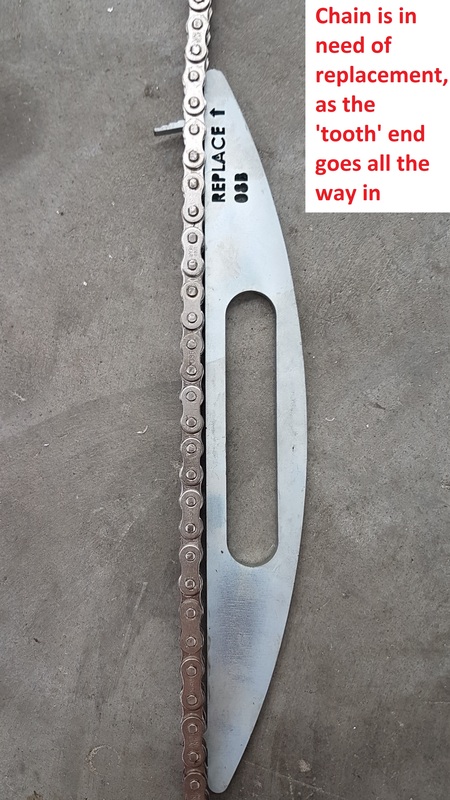 The chain can stretch or wear over time and to test whether the wear is within acceptable tolerances, we have designed the Chain Wear Evaluation Tool shown in the steps below. This item can be ordered from Simpro using our stockcode 0250040002. Gain access to the lifting chain. This can be done either under the ram cover or by entering the inside of the lift area. Attach the Chain wear evaluation tool. 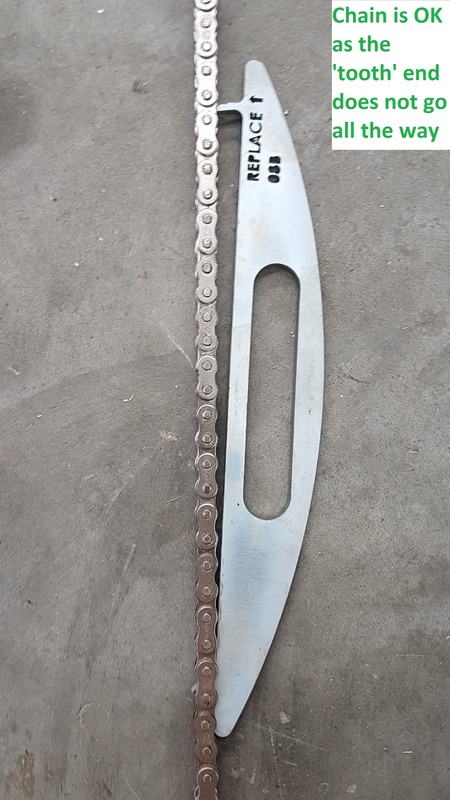 If the toothed end can go all the way the chain is in need of replacement.